As part of an industry leading global chemical supplier, BASF Personal Care draws on vast resources and expertise across international markets. 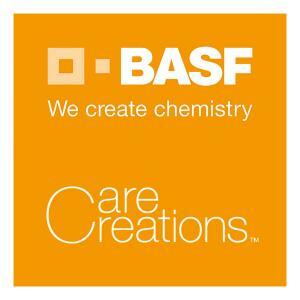 At the same time, BASF Personal Care is highly specialized and dedicated to the personal care industry — a commitment expressed by the Care Creations™ brand. BASF's focus on consumer trends, specific industry requirements, and ability to innovate and bring new products rapidly to market contribute strongly to the success of customers — making BASF a valued partner for the personal care industry. BASF's high-performance product portfolio includes surfactants, emulsifiers, polymers, emollients,cosmetic active ingredients, protein products, special effect pigments and UV filters. With state-of-the-art production and development sites, in addition to a global network of sales and marketing offices, BASF offers a winning combination of global reach, technological excellence and formulation expertise in all its relationships.